The UFC returns to the world of pay-per-view with a stellar card featuring established veterans, talented prospects and a pair of world title fights. It’s time for UFC 216. An interim lightweight title fight between surging contenders Tony Ferguson and Kevin Lee headlines the card. The two men have been on an incredible role, and neither fighter is known for putting on lackluster fights inside the Octagon. In the evening’s co-main event, Demetrious “Mighty Mouse” Johnson will attempt to make history at the expense of his opponent, Ray Borg. A dominant champion, Johnson is one win away from breaking Anderson Silva’s record for consecutive title defenses. Borg is the ultimate underdog in this bout, but he has shown the resiliency needed to spoil Johnson’s history-making effort. UFC 216’s other feature bout is a heavyweight clash between former champion Fabricio Werdum and Derrick Lewis. Both competitors are looking to vault back into the mix of title contenders for a shot at champion Stipe Miocic. The main card also delivers the UFC debut of female flyweight Kalindra Faria. Faria was set to meet up-and-comer Andrea Lee, but now draws late-notice replacement Mara Romero Borella. Lightweights Evan Dunham and Beneil Dariush kick off the pay-per-view portion of the lineup. Also on the card is much-hyped prospect Tom Duquesnoy, who faces Cody Stamann. In addition, there’s a grudge match between Will Brooks and Nik Lentz and a lightweight scrap between Bobby Green and fan-favorite Lando Vannata. 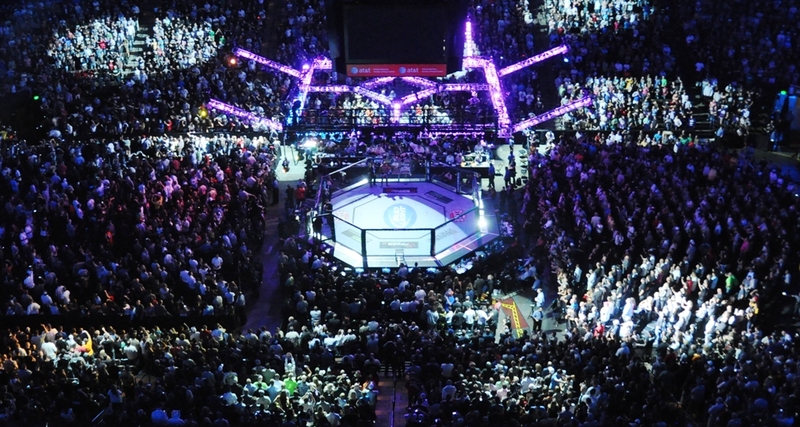 The festivities begin on UFC Fight Pass at 6:15 p.m. ET with four preliminary bouts. From there, it’s off to FX for the remainder of the prelims at 8 p.m. ET. Finally, the pay-per-view gets underway at 10 p.m. ET. Combat Press writers Zach Aittama and Kyle Symes preview the stacked lineup in this edition of Toe-to-Toe. Tony Ferguson and Kevin Lee meet for the interim lightweight title. Which fighter proves to be the superior man on Saturday night? What plays the biggest factor in the outcome of this fight? Aittama: Ferguson is the odds-on favorite to capture interim gold this weekend when he takes to the cage against Lee. 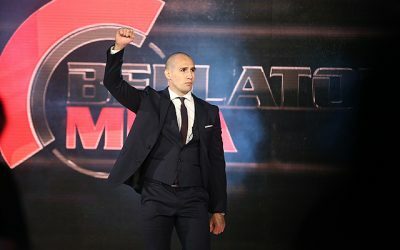 Ferguson, 33, has won his past nine fights and has 12 Octagon victories and only one defeat since winning the 13th season of The Ultimate Fighter all the way back in 2011. “El Cucuy” has stopped eight of his 12 wins inside the UFC in a variety of manners. In his last outing against former champion and top-10 welterweight Rafael dos Anjos, Ferguson was able to adjust and take over the five-round fight in the championship rounds. That was when Ferguson put himself on the map as the best lightweight in the division. 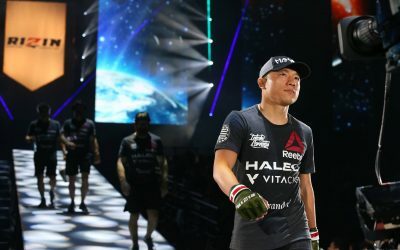 Lee enters the Octagon with five straight victories against increasingly difficult competition. 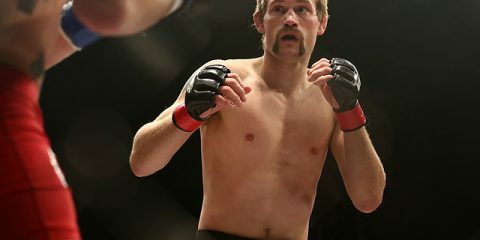 Lee, who is only 25 years old, has not fought the caliber of competition that Ferguson has, but Lee is also a fight finisher with stoppages in five of his nine UFC contests. He has continued to improve and show new layers to his game while training in Las Vegas. The Detroit native made the move to the fight capital of the world to develop into a champion. The move has certainly paid off, as he now gets to fight for the UFC belt in front of his adopted home. Lee is an excellent grappler with a striking game that is developing as he finds more high-level training opportunities. This fight might be a little too much for Lee on first glance, but can we talk about Ferguson’s deficiencies for a second? We are only two years removed from Ferguson spamming rolling kneebar attempts against Edson Barboza and just over a year from Ferguson’s big scare against UFC debutante Lando Vannata on short notice. What makes Ferguson come out on top of his opponents is his absolutely relentless pace and pressure. Even after catching a beating in the opening rounds against Barboza and Vannata, Ferguson pulled through the trouble as a result of his durability, toughness and conditioning. Ferguson’s stamina during a fight is unmatched by most fighters in the world, and that will be his key to victory. Ferguson will eventually find his openings after doing some weird, likely awkward attacks. He’ll lock up the fight-ending submission on Lee. Symes: My colleague is correct in pointing out that, for all the hype Ferguson has received (and rightfully so), there have been times when “El Cucuy” has looked vulnerable. Those are the opportunities Lee is going to need to take advantage of in their battle. Considering the amount of confidence Lee has, I doubt he’ll hesitate if an opening presents itself. With Ferguson’s free-flowing style, Lee should have ample chances to change the momentum of the fight. The difference in this contest will be Ferguson’s big-fight experience. He’s been on the big stage numerous times and has beaten some of the best lightweights in the world. Lee’s prospects in this fight are going to take a hit due to the level of competition of fighters he’s faced. However, you could nitpick anyone’s wins and losses. Lee has shown massive improvements since moving to Las Vegas, and we’ll see those improvements on full display at UFC 216. Given that both guys have shown a knack for finishes and don’t seem to care for each other, I suspect we’ll have a finish in this fight. As good as Lee has shown himself to be, I don’t know if he has enough tools to deal with “El Cucuy” at this point in his career. A rematch down the road could prove to be a huge fight in the UFC’s lightweight division, but Ferguson will win on Saturday in a closer fight than most seem to be anticipating. Bonus Question: Will the interim champ ever get to challenge Conor McGregor for the undisputed crown? Symes: I don’t think so. It’s not that McGregor is running from either of them, but we’ll see the Irishman in “money fights” moving forward. 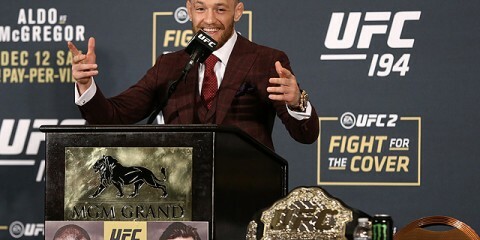 While McGregor versus either Ferguson or Lee would be extremely entertaining from an MMA fan’s perspective, there are bigger fights, from a pay-per-view standpoint, for McGregor. Additionally, McGregor won’t make a lengthy return to MMA action. He’s been vocal about the short shelf life of a prize fighter and is well aware of the CTE/head trauma issues that are prevalent in combat sports. Aittama: Those are some great points about McGregor and how much time he has left in the sport. As for the winner of the interim title, winning won’t mean they automatically get a shot at the champion. It’s just a back-up plan in case McGregor decides to fight other opponents or never return to the normal standard of defending the title. 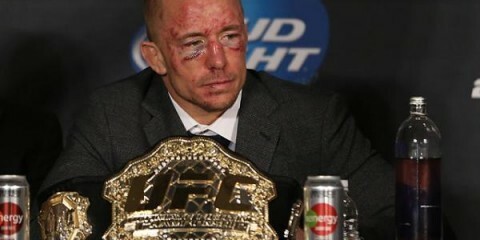 Remember, McGregor has never defended any of his titles. To expect McGregor to walk back into the Octagon against Ferguson or Lee seems completely unrealistic. The Irishman did say he wants to see what happens this weekend before he announces his plans to return, but come on, we all know the fight the UFC is trying to make is the Nate Diaz rubber match. Demetrious Johnson has dominated every opponent put in front of him in his title reign. A few have had moments of hope, but Johnson has quickly shut the door on them. Should we expect anything different when Ray Borg steps up to challenge the flyweight legend? Aittama: I feel like I’ve answered this question once before. Oh wait, I did, during the UFC 215 preview. Unlike the UFC, I won’t merely post the same footage in hopes everyone missed it at UFC 215. If you want to check out my lengthy preview of the fight, you can go back and read it. Otherwise, I’ll keep it short and to the point here. Johnson was one of the most gifted athletes prior to his move to flyweight. He met his roadblocks on the way to the title, but he found himself going five rounds with the UFC bantamweight kingpin Dominick Cruz during a time when he wasn’t training full-time or working with Matt Hume. Following his draw with Ian McCall in 2012, Mighty Mouse made the move to AMC Pankration’s main gym and started training like a professional athlete. Since that time, Johnson has been unstoppable. He went from being one of the most gifted athletes to becoming one of the greatest talents in the sport. Does Borg have a chance? Sure, just like any other fighter on any given day. However, we’re talking about a whole different animal with Johnson. 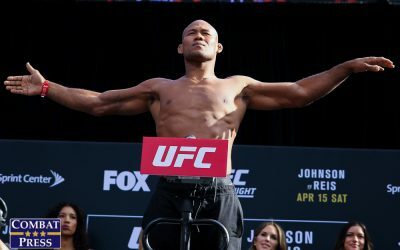 The flyweight champ showcased his ability to dominate every facet of the fight against a high-level grappler in his last outing against Wilson Reis. He dismantled Reis on the feet, battered him on the ground, and took home the armbar submission to become the first man to ever tap the Brazilian. Borg could meet a similar demise. The New Mexican challenger is a great fighter in his own right, but there are levels to this sport. Johnson set the mark that every other fighter should strive to reach. The champion breaks the record and crushes another opponent before the final bell. 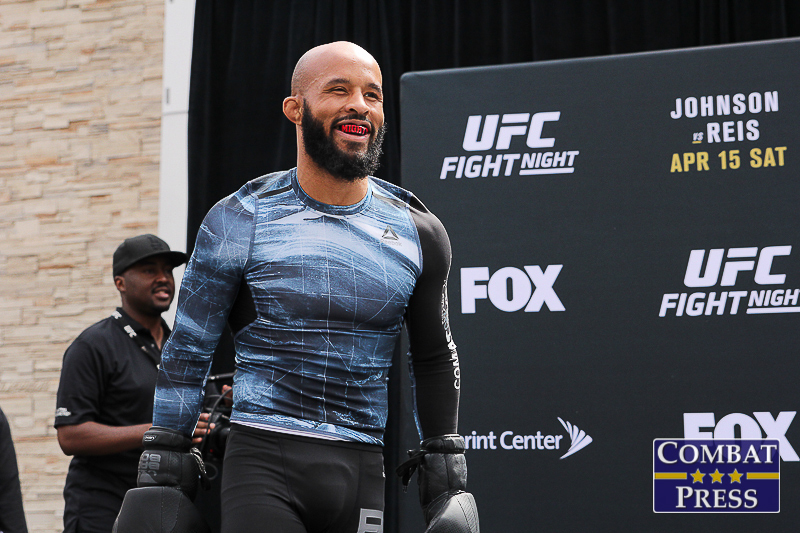 Symes: Mighty Mouse has looked like an unstoppable force in the UFC’s 125-pound division. Despite Borg’s talent, there’s nothing in his game that would suggest that he is capable of pulling off one of the sport’s biggest upsets. He’s coming into the title shot off only two victories, and both came via decision. He hasn’t shown one-strike knockout power. He isn’t a heralded submission artist on the ground, either. Unless Johnson is coming into this fight totally unfocused, there’s no way Borg pulls off the upset. 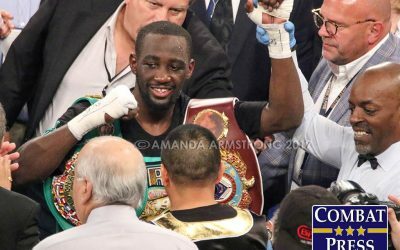 Yes, he could catch Johnson the same way his teammate, John Dodson, did, but it’s never good to go into a title fight with your best option being a puncher’s chance. After teasing retirement, Derrick Lewis is back in action against fellow heavyweight Fabricio Werdum. Will Lewis finally demonstrate elite skills and cardio en route to a victory, or will Werdum be the latest to slam the door on “The Black Beast”? Symes: It’s really tough to say that Lewis will see his title hopes go down the drain with a loss. We’ve seen heavyweights we once considered well beyond their prime make a surge into the ranks of the top contenders. Lewis has dynamite in his hands and is one of the most entertaining fighters in the sport. 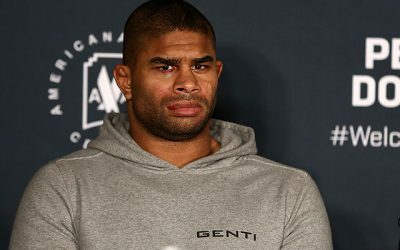 The UFC is really missing out on an opportunity to build him into a bigger star, but it’s fair for the company to be reserved, especially since Lewis stepped away from the sport only months ago. Helping sway my prediction, though, are the recent comments by Lewis that competing in the UFC is virtually all about the money, not the UFC title. Factor in his conditioning issues, and that’s not exactly a positive statement. His honesty is admirable, but it’s hard to believe he’s fixed his cardio problems when he’s making statements like that. Still, we’ll see an improved Lewis in the cage now that he’s taken some time off to heal his body. It won’t be enough against Werdum, though. The former UFC champion is regarded as one of the best heavyweights of all time for a reason. No longer just a jiu-jitsu ace, the Brazilian is just as dangerous on his feet as he is on the ground. The only concern with Werdum is that we’ve seen him fight more aggressively lately. Against a guy with the punching power of Lewis, Werdum can’t rush into anything. Werdum will employ his Muay Thai game to keep Lewis at range and then look for a takedown once the two giants inevitably end up in a clinch situation. Once the fight hits the mat, look for Werdum to move quickly into a submission attempt. Aittama: That sounds about right. Werdum is going to have to navigate the early exchanges and hope he doesn’t run into a big shot from Lewis. 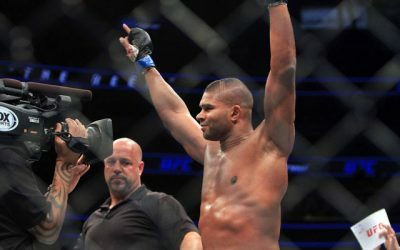 The Brazilian has been making strides in his striking game for years now, and he is more than willing to test those out against a big hitter like “The Black Beast.” It won’t be the smartest game plan for Werdum to score the victory, but it wouldn’t be anything different from how the Brazilian has approached some fights in the past. Lewis is a fighter the UFC could market if it didn’t keep giving him incredibly difficult match-ups. 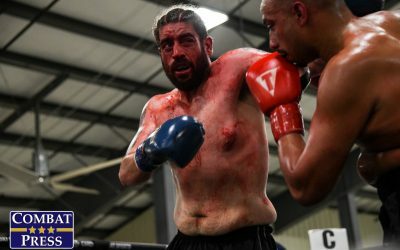 Sure, Lewis always has the chance to end this fight with one or two shots, but why not give him an opponent where he could showcase some of his improvements in the gym? The guy retired from the sport because he wanted a break, not because he wanted to stop fighting. He can’t be expected to develop into a champion, but Lewis has a few years left of beating up on low- and mid-tier heavyweights. Throw an upset or two in there, and he could potentially find himself close to a title. However, as has already been pointed out, Lewis is in the sport for the money. He’s done well to this point, and he will do well for himself going forward. Hopefully, he’ll get some time off after this fight to recollect himself and continue to grow as a fighter and as an athlete. He is marketable in more ways than one, but we’ll have to wait and see if the UFC notices what it has in Lewis. With that said, Werdum will survive the early danger and get the submission victory in a transition. Poliana Botelho, Mara Romero Borella and Kalindra Faria — do we need to know these names? Aittama: Botelho could turn out to be a good addition for the UFC’s women’s flyweight division, but her chances heading into her debut look bleak. She’s returning to the cage for the first time in over two years and dropping down to strawweight. Furthermore, she’s up against Pearl Gonzalez, a fighter known for her toughness and durability. Botelho looked good in her early career. She won the XFC International flyweight tournament and then went on to win the belt over a skilled opponent, Silvana Gómez Juárez. She is a striker first and foremost, so expect an exciting debut whether she gets the victory or not. Faria makes her Octagon debut on relatively short notice against another debuting opponent, the aforementioned Borella. Faria is the best fighter among the three ladies mentioned in this question. The Brazilian has the most experience against high-level competitors, including UFC title challengers Karolina Kowalkiewicz and Claudia Gadelha, as well as former World Series of Fighting champion Jessica Aguilar. Faria has won three straight fights, including her title-clinching performance against experienced veteran Carina Damm at Titan FC 41. Faria has a chance to become a stable UFC fighter. Borella, 31, is the first Italian woman to compete in the UFC. She has won five of her past six fights, but her most recent split-decision victory over UFC vet Milana Dudieva is her best win to date. Borella also competed against one of China’s top female fighters, Jin Tang, but she fell short in the bout. She’ll have a tough outing against Faria. 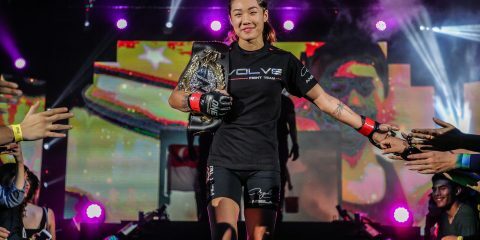 Beyond this fight, she may be able to steal a win or two, but, given her level of competition, her fate in the UFC is a complete unknown at this point. Symes: Yes, Faria looks to be the best of the bunch based on their resumes. She’s faced the best competition of the three, whereas both Botelho and Borella enter the Octagon with some serious question marks. As noted, Botelho hasn’t fought in two years, and Borella has been competing entirely overseas, outside of her lone Invicta FC appearance. Given that the women’s flyweight division is new, all three ladies — Botelho could move back up in weight after this fight — have a chance to make an immediate impact. However, they’re all going to be a step behind in that regard. Despite being on its last leg as a reality show, The Ultimate Fighter is still on cable networks and is already introducing the fan base to numerous women’s flyweight competitors. And that’s not counting all the ladies that will undoubtedly come to the flyweight division from the 135-pound and 115-pound divisions. Who’s the biggest winner at UFC 216? Symes: Honestly, it has to be Mighty Mouse. Despite his dominant run in the flyweight division, Johnson hasn’t become a major draw with fans. Looking to achieve history, he will have the chance to do so in front of a far bigger audience than if he was headlining his own pay-per-view card. It’s strange to see Johnson have to play second fiddle to an interim title fight, but that’s the nature of this business. Aittama: The card features solid fights from top to bottom, but it’s hard to single out one winner. The fighter who comes out of the main event with the victory will certainly have some options going forward. So, whether Ferguson gets the victory or Lee scores the upset, they have a bargaining chip that could come in handy if McGregor ever defends a title. I expect Ferguson to walk away with the interim belt, but it won’t be a walk in the park. Ferguson will be the big winner coming out of the event if he gets his hands raised. Who’s the biggest loser at UFC 216? Johnson will get the victory and break history, but the casual observer won’t care. They won’t care that one of the five best fighters in the history of the sport breaks one of the once untouchable records in UFC history. The UFC couldn’t even bother to shoot new footage of the champion for the UFC 216 marketing campaign. Instead, the company literally copied and pasted footage from the UFC 215 countdown and used it for this event. It’s hard not to dive into the UFC’s decision to leave the interim lightweight title fight as the main event. Johnson may not be bothered by it, but his potential earnings have been affected once again. If the flyweight champion is only willing to go up to bantamweight for the proper payday, the odds don’t look good after how he has been treated leading up to this event. Symes: Can I have a 1a and 1b for this? First, there’s Derrick Lewis. He has the makings of a bonafide superstar, but the UFC’s matchmaking isn’t doing him any favors. He’s already said he doesn’t care about the belt, so I’m not sure why he’s fighting top contenders that are terrible match-ups for him. Line him up with some guys who will stand and give “The Black Beast” the chance to showcase his power punching. Then there’s Ferguson. If he gets his hand raised, his next viable options will be McGregor, who’s unlikely to sign on the dotted line for that fight, or Khabib Nurmagomedov. Already paired up numerous times, Ferguson and Nurmagomedov won’t have the same anticipation behind it as it did pre-UFC 209. There’s no guarantee “The Eagle” even makes it to the cage. With two viable champions unlikely to fight each other, the UFC has a real boxing-esque problem on its hands in the 155-pound division. Symes: If you’re looking for a fighter that’s flying under the radar on this card, it’s undoubtedly Tom Duquesnoy. He’s considering a top prospect for a reason. Do not miss his fight. If you’re looking for a fight that’s not getting any attention but could provide fireworks, look to Will Brooks and Nik Lentz. The two lightweights have some bad blood heading into this affair, which could lead to both guys putting on a show. Aittama: There are plenty of can’t-miss fights on this event. The flyweight showdown between Ramzan Kadyrov’s minion Magomed Bibulatov and former title challenger John Moraga should produce fireworks. Lightweights Beneil Dariush and Evan Dunham are set to engage in all facets of the MMA game, which could also entertain. The fight that sticks out to me, however, is the match-up between Lando Vannata and Bobby Green. Vannata has made a name for himself with highlight-reel knockouts and exciting fights since entering the Octagon on two days’ notice against Ferguson. Vannata took the head off of John Makdessi with a spinning wheel kick at UFC 206. “Groovy” fell short in his last outing against David Teymur, but the bout was a proper war that could be in consideration for “Fight of the Year” honors. Green has been on a slide lately, having lost his last three fights. However, Green’s life has been a roller-coaster ride, so the rugged veteran should be game for another difficult showdown with a striker. Green is familiar with exciting fights. He started his UFC career with four straight victories, including decision nods over Josh Thomson and Pat Healy. The “King” should be ready for another when he meets Vannata in the center of the Octagon. Aittama: Friends and family. There is nothing better than gathering a few friends on a Saturday night for some college football and some fights. The college football season is starting to heat up, and these fights should likely stoke the fire throughout the night. Grab some steaks, snacks and, of course, the beer, for a night of fun with the entire family. Symes: Some good alcohol. Considering the level of fighters the UFC will have on display at UFC 216, it’s bound to provide a great night of fights. What makes great fights even better? A nice glass of Jack Daniels, of course.